The Garden Studio garden room is a stylishly functional, year-round solution for adding extra space to your property without the need to extend or renovate. The Garden Studio is a simple and modern garden room building with a designer interior finish. 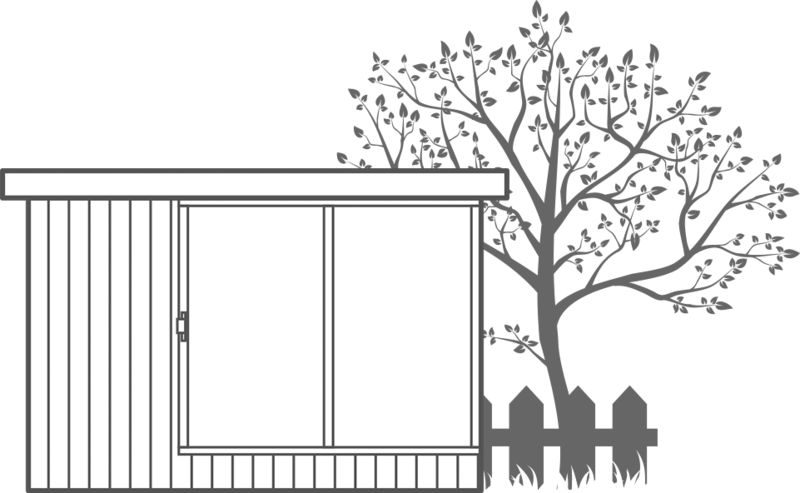 A complete and personalisable product; the Garden Studio comes with a choice of options as standard to tailor your garden room to suit your home and lifestyle. All Garden Studio garden rooms are constructed to the highest standards with a clean and contemporary finish to both the interior and exterior. Your garden room is fully insulated and maintenance free, offering you a genuinely cost-effective, modern alternative to a house extension, loft conversion or traditional conservatory. Included with your building is a high-security, double glazed 2.3m French or sliding door set, opening lozenge window, a choice of stylish laminate flooring, 3 x double surface mounted electrical sockets, a choice of interior lighting designs, and exterior light, integrated guttering and a soft-sheen white melamine interior wall finish. The Garden Studio range is available in configurations up to 6m wide and 4.5m deep to ensure your building is large enough to accommodate for your needs.